New Safe K12 education platform — supported by Google, MS, etc. Here’s something you don’t see every day. Facebook, Microsoft, Google, and other major tech companies have joined together. No, not to build a new phone or gadget. Instead, it’s far more important. They’ve partnered with non-profit organizationFamily Online Safety Institute (FOSI) to build A Platform For Good. It’s a safe digital place for teens, parents, and teachers to learn about and share information about online safety. I was discussing this with Katie yesterday and we were overwhelmed by the scary things that students and teachers alike could encounter online. It’s great to see the big tech firms understanding this too. Hopefully they know a bit more than we do, though. It’s a host of resources that have been combined into one solid platform. From videos to blogs to tips for parents and kids, there’s more than enough information about online safety to keep you busy. – There are polls asking for a teenager’s insight into what technology means to them, online safety, etc. 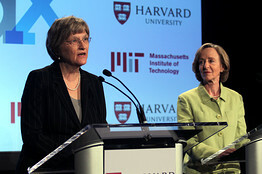 How would you like to take courses from Harvard and MIT anywhere in the world? Non-profit edX makes online courses from leading universities like Harvard, MIT and Berkeley available to anyone worldwide, for free. It is funded by Harvard and MIT, who both invested $30 million in the company. Mr. Agarwal sees particular potential in India, where many of the college-age population compete for a limited amount of places at schools. The professor, who used to head the Artificial Intelligence department at MIT, says India needs to make high quality education from world-class universities available to this large target market. “In India, there is extreme competition for a very small number of seats at universities,” he says. In June, edX completed its first MIT course, 6.002x Circuits and Electronics, a sophomore level course as rigorous as the MIT on-campus one, according to Mr. Agarwal, who taught it himself with a team of seven others. He says students from 160 countries were represented in the online course. India accounted for the second-largest number of enrollees, with approximately 20,000, while the most – about 60,000 – came from the U.S.
“Learners from India were diverse: students enrolled at IITs and other schools, students preparing to apply to universities. This not only speaks to diversity within the country itself, it also speaks to edX’s goal of embracing diversity as a whole,” Mr. Agarwal says. MIT received 18,000 applications and accepted 1,600 students for on-campus education last semester. According to Mr. Agarwal, there were 155,000 registrations worldwide for edX’s first course, 23,000 online learners who completed the first problem set, 9,000 who passed the midterm, and nearly 7,200 who passed the course. “Although the attrition rate may seem high at first glance, if you look at the number in absolute terms, it is as many students as might take the course in 40 years at MIT,” says Mr. Agarwal. 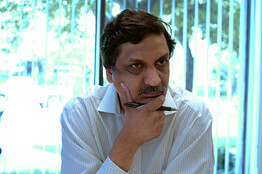 He believes that edX provides access to quality higher education for anyone who has Internet and can master the work. It is not based on a learner’s ability to pay a top university, and it is not reserved for the small percentage that can be accepted due to on-campus space and resource limitations. The next natural progression would be partnerships with educational institutions in India, Mr. Agarwal says, adding that discussions are underway with some IITs in the country. He says that some of the biggest employers of IT talent in India, including Infosys 500209.BY -2.77% and Wipro, have expressed an interest in hiring students with credentials from edX, though discussions are at a very early stage. “I was one of the fortunate students who was able to enter the funnel in the traditional way, both in India and in the United States. As edX casts its net across the world, I would like to see other students in India reap the benefits of high quality education,” says the professor, who was born in Mangalore and is a graduate of IIT Madras. “Perhaps edX will help educate the next Jonas Salk? Or Narayan Murthy? Or Azim Premji? The opportunities are endless,” he adds. The amount of technology flooding into classrooms may vary widely, but there’s no denying that it’s a red-hot trend in education. A new study further bolsters this idea as it’s found that digital devices are saving students time, are widely accepted, and are actually making students more likely to do their homework. A majority (67%) can’t go more than one hour without using some sort of digital technology, with 40% not lasting more than 10 minutes. Print textbooks are losing their reputation of being indispensable. Only 5% of students say textbooks are the most important item in their bag and a majority of students say they are more likely to bring a laptop (51%) than a print textbook (39%) to class. The study found that 68% of college students who save time using technology report saving two hours or more each day and nearly one in six students (14%) saving five hours or more. Nearly 3 in 5 students (58%) report that they frequently are unable to complete required reading in time for class and of those, a majority (51%) said they would be more likely to do so if they had digital textbooks that could be accessed on a mobile device, eReader, laptop or tablet. Traditional brick and mortar classes, though, are incorporating online elements, creating increasingly hybrid experiences.